There’s a lot more to promoting your content than just hitting the ‘Publish’ button, and even if your content is of excellent quality, there are still a few additional steps that you need to take to increase your website’s exposure. When it comes to promoting your website or blog and its content, you simply cannot afford to ignore social media, and social bookmarking services can also help to increase your reach. While the major social networks, such as Facebook and Twitter, provide a platform for people to share and like content, the social bookmarking websites have a more specific focus, but they can still be useful for promoting content of any kind. Often overlooked by novice Internet marketers, social bookmarking sites like Digg, StumbleUpon and Delicious, are built specifically for sharing and rating content. Unlike the mainstream social networks, social bookmarking services provide a centralized platform for people to curate, annotate and rate content. Social bookmarking is not a particularly new thing either: it has been around in one form or another since the 90s, though it wasn’t until 2003 when the major social bookmarking site ‘Delicious’ popularized the term. Since the launch of the Google Penguin algorithm update of April 2012, social bookmarking has ceased to be a large-scale link building technique, but it does still provide some very significant benefits in return for little time and effort. Social media as a whole has a major influence on a website’s standing in the search engines, and it is often said that social media marketing is the new search engine optimization. 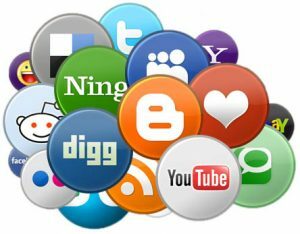 The most important benefit of social bookmarking is that it can bring a significant boost in traffic to your website. These websites can serve as effective referral sources, and as people share content that they like, its exposure increases exponentially. In some cases, a great piece of content becomes so popular that it goes viral to the point that it practically becomes an Internet meme. There are also niche bookmarking sites that can help you to target a more specific audience, and this in turn helps to bring in more qualified visitors to your website. At the same time, increased social signals facilitated by social sharing is still believed to have a positive effect on your search engine rankings, thus increasing your exposure in the search results. Delicious: One of the first social bookmarking websites, Delicious.com has more 5 million users and 200 million URLs in its bookmarks. The site also features the most popular content on its homepage and the ability to navigate through numerous categories. StumbleUpon: Styling itself as a ‘discovery engine,’ StumbleUpon is designed to find and recommend online content to its users based on their selected categories and the ratings of the content in question. It is currently the most visited site out of the three mentioned here. Digg: Featuring an editorially-driven front page, Digg is a news aggregator that helps its users to find trending content based on their personal preferences. In 2012, Digg underwent a major redesign, and it now features a new front page and a revamped page scoring system. In addition to the bookmarking sites mentioned above, there are numerous smaller ones including those that focus on specific niches. For example, those in the academic field may find Citeulike.com useful, while those in the web design and marketing will probably find services like Design Float more to their liking and blog owners may find Technorati to be invaluable. Success with social bookmarking largely relies on the same good practices that you should use for any king of social media marketing. To get a better idea of what you should and should not do, be sure to examine Google’s Webmaster Guidelines. Google will penalize websites with an excessive number of links coming from low-quality websites, so you should place the emphasis on quality and relevancy. While the three social bookmarking sites mentioned previously can be useful for almost any type of website, regardless of its niche, be wary of smaller, niche websites that might not be suitable for promoting your particular website. Remember that you must work on targeting the right audience using the right networks. Where applicable, be sure to create complete profiles on the websites you use, just as you should with the mainstream social networks. An incomplete profile looks lazy and unprofessional, and it will turn away a lot of people who take the time to look at it. Long gone are the times when social bookmarking was all about getting your content listed on as many websites as possible. Avoid using automated bookmarking tools, and stick to following quality guidelines rather than thinking in numbers alone. Don’t forget about the social element. Social bookmarking is not just about promoting your own content: It is also about promoting other people’s content and participating in the community. As a general rule, around three quarters of the content you bookmark or curate should be from other websites related to your own niche. In conclusion, keep your focus on user experience, social engagement and the quality of the content that you produce and promote. Over time, you will see an increase in traffic to your website as well as the number of people sharing your content. Remember, that above all, online marketing today is about building up your exposure in both the social networks and the search engines using organic methods.